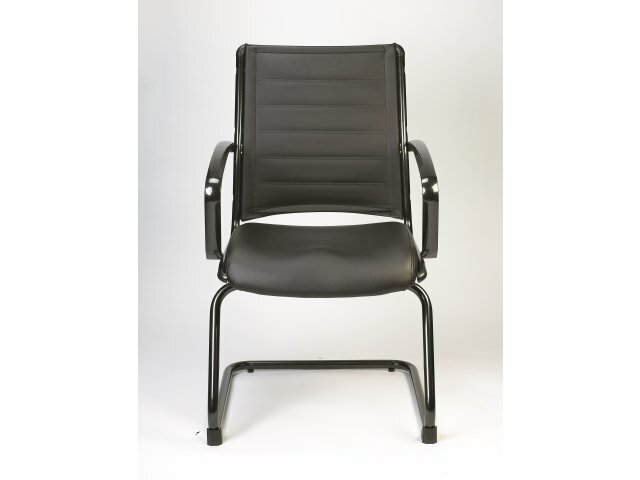 This sleek leather guest chair will make any visitor feel like a welcome one. 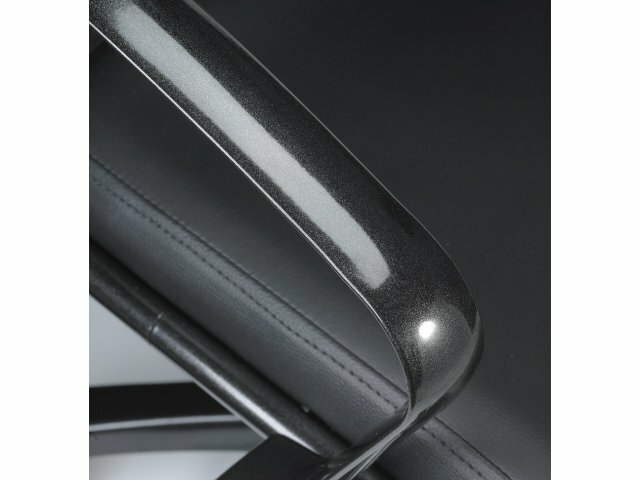 The luscious black leather upholstery and black metal frame create an imposing, yet supportive background for any modern executive. 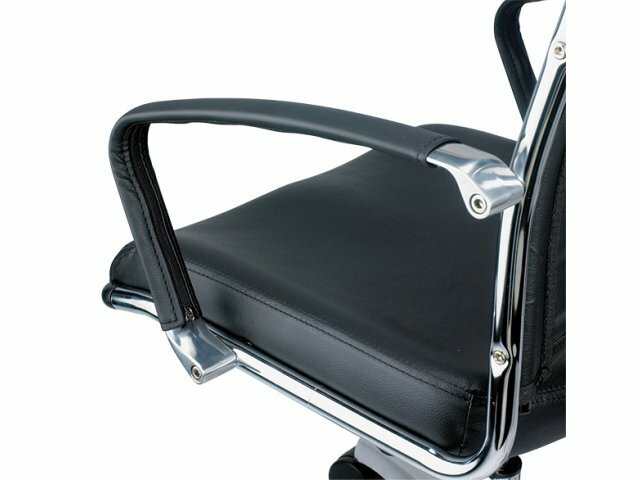 These sleek chairs match perfectly with Europa Metallic Office Chairs, allowing you to add a classy appeal throughout the workspace, without compromising on style or function. 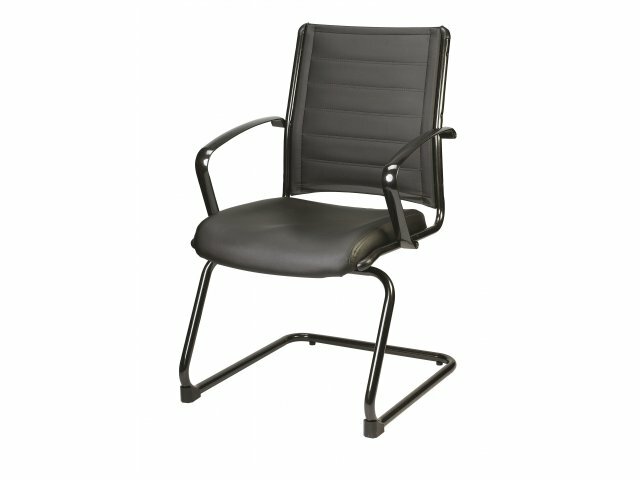 This office seating will keep you and your guests comfortable at all times. The oversized, molded-foam cushions have a waterfall edge, which allows for healthy circulation. A steel substructure provides reliable support. 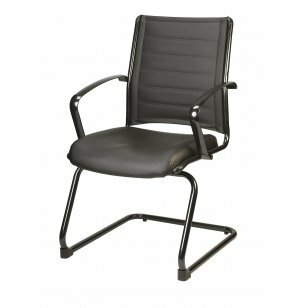 These guest chairs will transform your workspace into a stylish, contemporary hub of productivity.